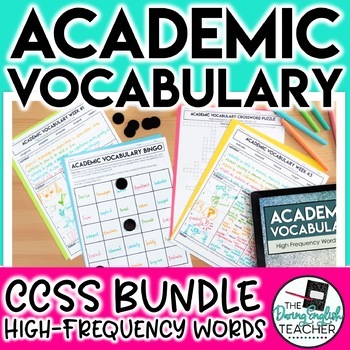 This common core aligned vocabulary bundle includes four different vocabulary units. There are 100 words total! 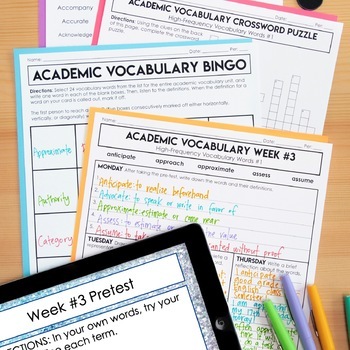 Each unit includes 25 high-frequency common core academic vocabulary words. 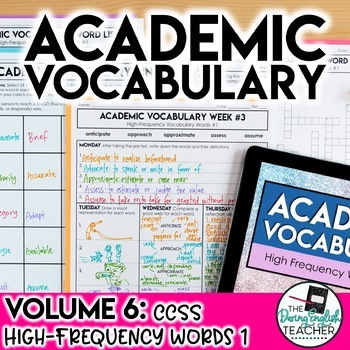 Please download a preview of this resource to see the complete list of these high-frequency CCSS words. Download the free preview to see all 100 words!